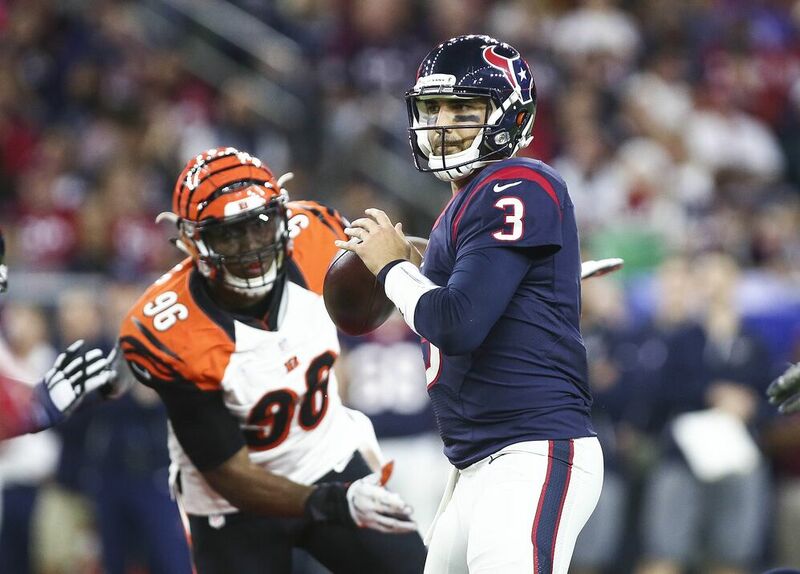 Despite having a top rookie behind him on the depth chart, Tom Savage is impressing the Texans coaching staff. As they look to finally find a long-term quarterback, the Houston Texans made a bold move up in the first round of April’s draft to get Deshaun Watson. That leaves 2014 fourth-round pick Tom Savage in a bit of limbo, entering the final year of his contract with fluid status atop the depth chart. Savage made the first two starts of his career last year, and he was adequate (461 yards, 63 percent completion rate) in the three total games he played. He has taken first-team reps under center all offseason, and despite the pressure of having Watson on his heels he appears to be responding well. It’s basically a foregone conclusion Watson will make some starts as a rookie, be it in Week 1 or later in the season. But Savage has a favorable situation, and if he can simply be a functional upgrade over Brock Osweiler the Texans may start him all season. Watson is clearly considered the quarterback of the future in Houston, and he is likely to compete with Savage for the starting job in training camp. But Savage is at least in line to make it interesting, and in his spot that’s good enough.